On Sunday a team of junior skiers and JC drove to Ruhpolding in Germany from our base in Seefeld for the British Championships. The World Cup circuit made its way to Milan, Italy for a weekend of sprint events, and with it the Australian contingent of Esther Bottomley, Callum Watson and Phillip Bellingham (along with coaches and support crew). The races were held on a purpose-built loop of snow trucked in to the city centre, making for a flat course. The Australian Team group training in Davos, Switzerland, headed towards the Italian side to Campra for the annual Swiss Cup races there. Campra is a favourite with many skiers on the team, not least due to the hospitality (read: food) they always receive. 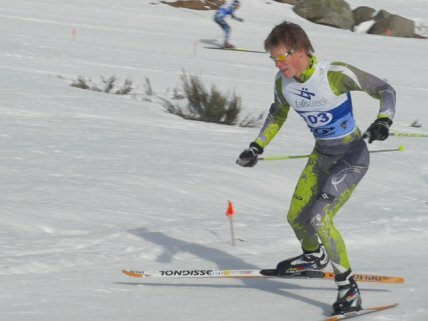 The courses have some decent hills, and never see the sun during the winter months (due to the depth of the valley), so make for interesting skiing. The team was joined by support and wax crew Ben Sim and Fabian Mauz for the races, with the boys glad to have some splits and waxing.